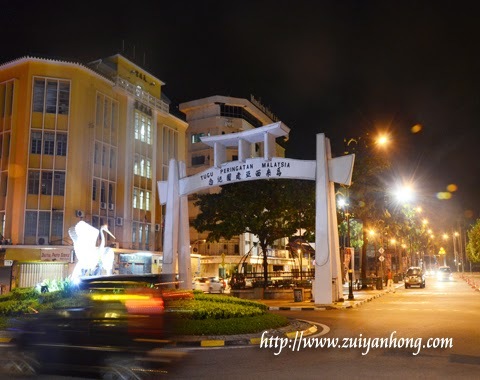 We had a stroll around Kota Kinabalu after savoring seafood at Welcome Seafood Restaurant. 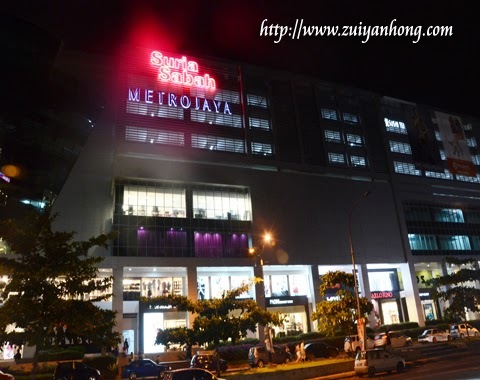 Built at Jalan Tugu, Malaysia Monument is not far away from KK Welcome Seafood Restaurant. 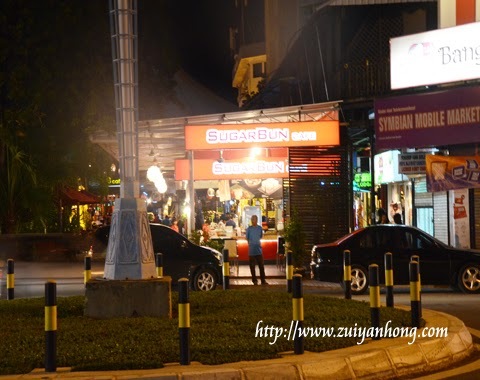 Sugar Bun Cafe was packed with its loyal fans. We wished to drop by to have a drink but it was full house. 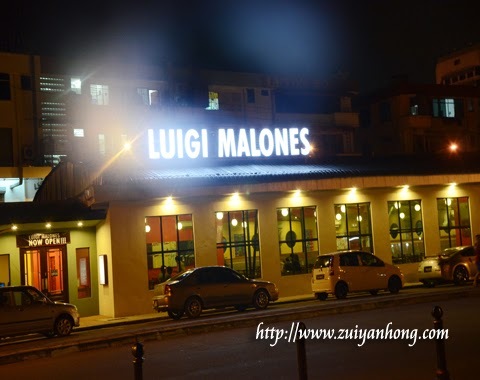 The bright Luigi Malones Restaurant is near Filipino Night Market. It had closed down for quite some time. Walk straight from Jalan Datuk Salleh Sulong (Jalan Segama 2) to Jalan Tun Fuad Stephens. 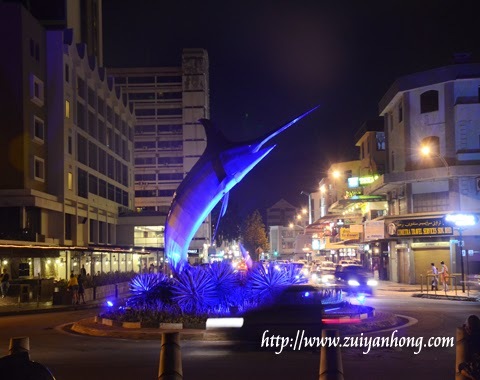 You will see a sailfish statue at a roundabout. 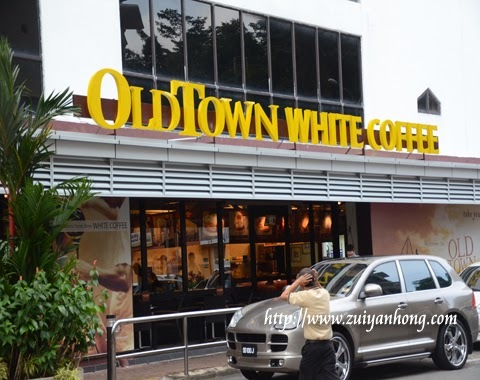 This Oldtown White Coffee outlet is next to Fu Yuan Coffee Shop. White coffee is not only available in Malaysia. It's also sold at Macau supermarket. 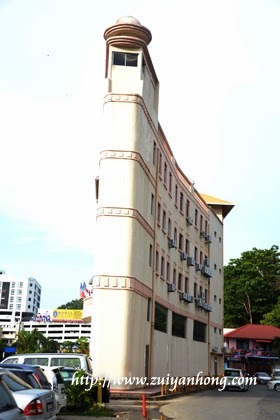 The triangular Wisma Intiutama is located opposite KK Police Station. The front of the building is same as any other building but the rear of the building is truly unique and interesting. 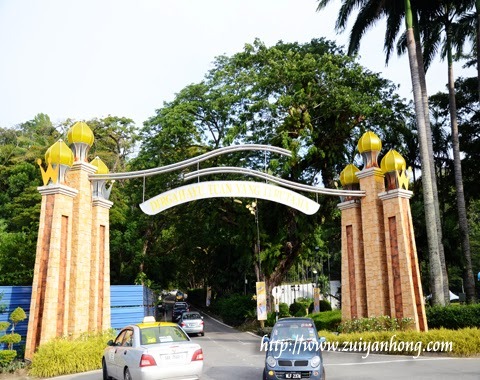 This is the Jalan Istana Arch. From here you can proceed to the palace and Signal Hill. Atkinson Clock Tower is constructed at the foothill of Signal Hill. You can visit Atkinson Clock Tower and walk to Signal Hill Observatory. Hi, I found a broken link on your site, this may affect your google ranking. Please email me back and I would be happy to point them out to you.